KATHMANDU, May 16 : Nepal's Kami Rita Sherpa on Wednesday scaled the world's highest peak Mt. Everest for the 22nd time with a record of highest number of summits, government officials confirmed. With the ascent of 8,848-meter high Mt. Everest, 48-year-old Sherpa has set a new record by climbing the world's highest peak for maximum times. 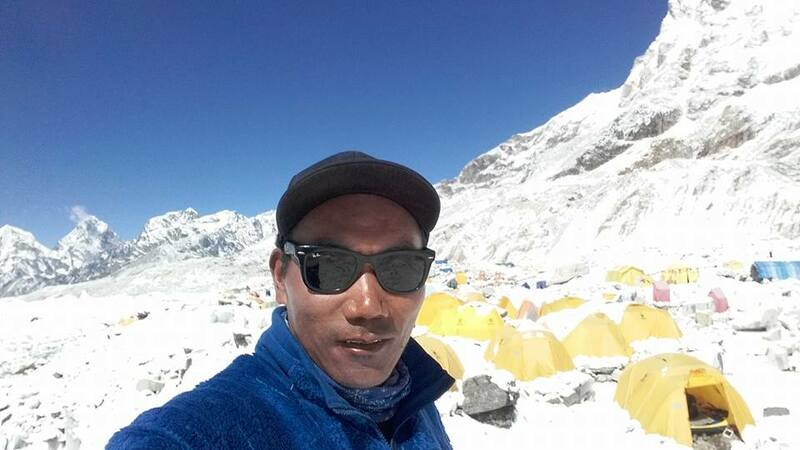 "Kami Rita Sherpa reached the summit this morning at around 8:30 a.m. local time along with other climbers," Gyanendra Shrestha, an official at the Department of Tourism under the Ministry of Culture, Tourism and Civil Aviation, told Xinhua via telephone from the base camp. Sherpa, a resident of Thame village in Solukhumbu district of Nepal where Mt. Everest is located, has already climbed the world's tallest peak 21 times successfully. "It has obviously excited me with the feeling that I am going to set a new world record. But I am not overexcited as it is a part of my professional job," Kami shared with Xinhua before leaving Kathmandu for expedition. Kami Rita Sherpa made the maiden ascent of Mt Everest in 1994 when he was 24 years old. He ascended the mountain for the 21st time on May 27, 2017. According to Nepal's tourism department, the official government body which issues climbing permits for the Mt. Everest expedition, 346 mountaineers from Nepali and foreign teams have taken the permits for expedition this year. Summits are underway every day since May 13 after the eight rope-fixing team members opened the climbing route for all climbers. The short climbing window, which depends ponu favorable weather, generally falls in mid-May.